Are you passionate about impacting the lives of people in crisis? Do you want a part-time position that allows you to make a difference? Description: Part-time employment opportunity available with Foundation 2’s Mobile Crisis Outreach program, providing on-site crisis intervention and Peer Support Services to clients of all ages. Must be able to attend all MCO trainings within 90 days of hire (35 hours, including two consecutive 8 hour days). Experience working with families and children preferred. Jane works full-time at another local agency, but enjoys the opportunity to work at Foundation 2 with a team of mental health professionals at the time and place where a crisis situation unfolds. Jane works on-call from 6-midnight on Tuesdays and Saturdays. She earns $2.50 per hour when she is on call; $31.84 when she is completing work related to a crisis call; and $11.39 when she attends monthly meetings and trainings. She earns $37.14 when she is completing work related to a crisis call on a holiday. No inquiries by phone. All questions will be answered during a pre-screening phone call. Resumes accepted until position filled. 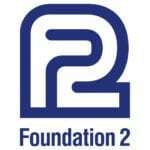 Foundation 2 is an equal opportunity employer.